Whaaaat! Don’t tell me you haven’t visited the playgrounds at Sydney Olympic Park’s Bicentennial Park yet??? Pack the car, get over there tomorrow!! 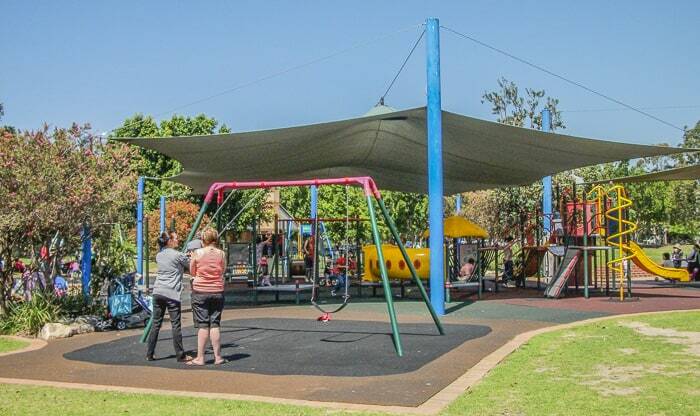 The Village Green playground has lots of shade and equipment for teenagers as well as younger children. There is a junior play structure with a viewing bubble, shop cubby, bead panel, a bridge, slides and tunnels and two small swings. 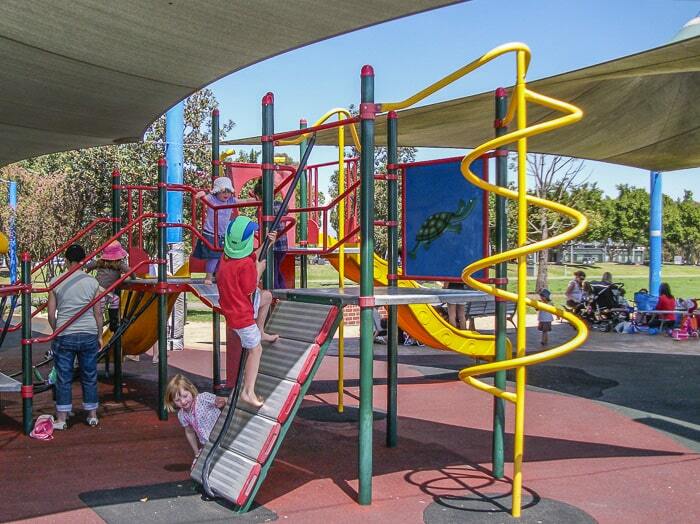 The senior play structure has curved monkey bars, a wobble walk, twist climber, flying fox and slides, plus two swings. A dry creek runs through the playground and is crossed by a small bridge. The playground is landscaped with shrubs and rocks, but there are a few benches for parents and carers. The Concord West picnic area playground is more spread out and has no shadecloth. There are junior and senior areas with similar equipment to that in the Village Green. 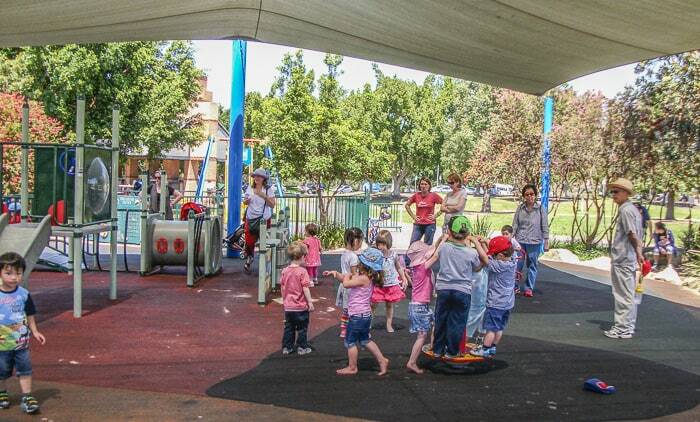 The playground is beautifully landscaped with plants, sandstone boulders and little walks through the trees. 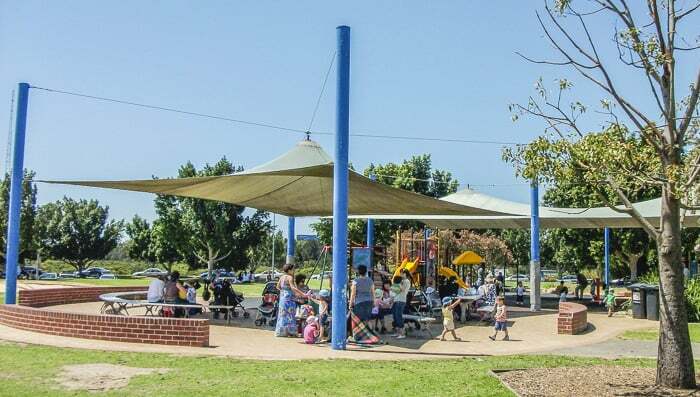 There is a small children’s bike track with road markings.There are large shaded barbecue pavilions with picnic tables beside both playgrounds. Mum’s report: Both playgrounds have great equipment and facilities. 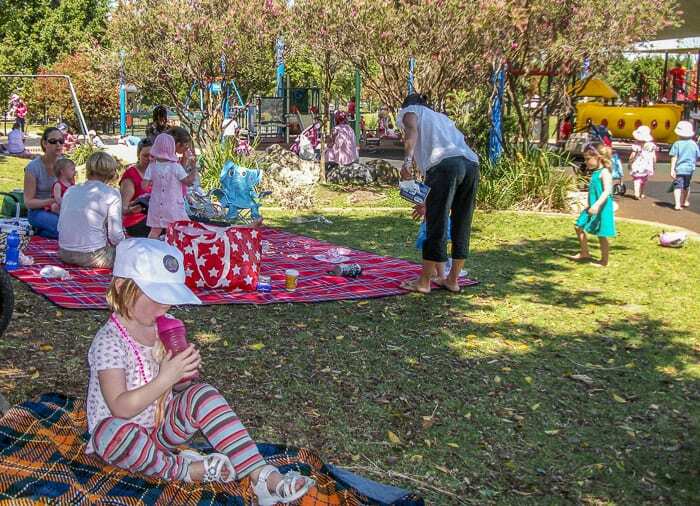 We prefer the one at the Village Green as there is no traffic noise from Homebush Bay Drive. The pond is close too and the kids like to visit the ducks. Extra: Read all about the park here. Lots of school holiday activities, see www.kidsinthepark.com.au. The Visitor Centre has displays on the natural history of the park and a shop. Lots of paths beside the playgrounds for bike riding. Map reference: Gregory’s M G2, Sydway 274 J11, UBD 233 A3 Click here for the map on Google maps. Parking: Parking bays beside the Village Green and on all roads in the park. Carpark at the Concord West picnic area, entrance on Victoria Avenue. For complete descriptions, maps and photos of Sydney Olympic Park’s many venues, click here. 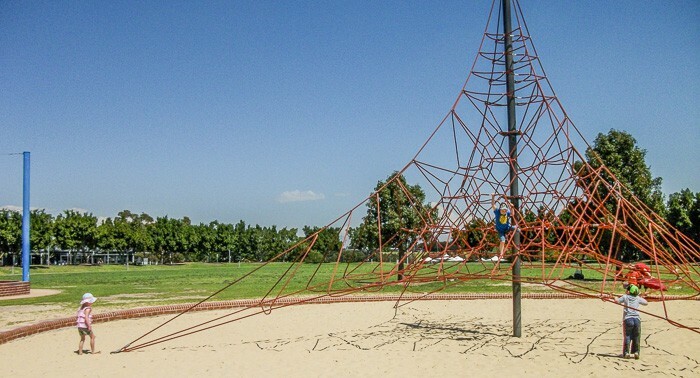 Have you visited this playground? 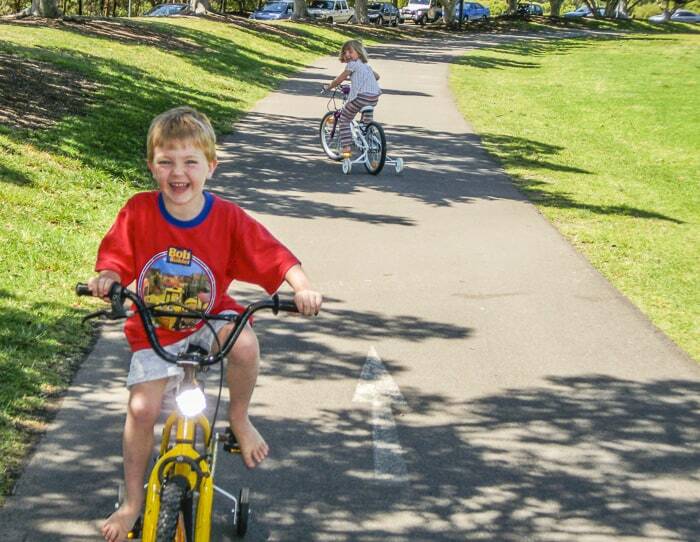 Where else does your family love to visit in Sydney Olympic Park?